I hope you've all had a super duper weekend! I wish I could say that mine was full of lazing around, chilling and watching (and celebrating!) a spot of amazing cricket but instead it was stressful, hot and sweaty! Well I wouldn't expect anything else from moving to a new place! Thankfully we have a few weeks overlap to get things sorted but we (well to be honest, Chris) likes to jump in the deep end and get stuck in. After all, the quicker we work the sooner it's done! Anyways about this post: I have some news that I'm kinda excited about but kinda sad about at the same time (though judging from some comments on my previous post a lot of you already know about it!). I'm really excited that I've been asked to join the A Passion For Papertrey Blog so I'll be able to contribute my PTI creations and also join in the excitement of setting challenges and giving prizes - yay! However I'm sad because my dear friend Steph is leaving the blog. Steph provides me with so much inspiration and I just love her humour, this gal has me giggling at the computer screen on many occasions! I know she has her own amazing blog to keep me inspired and giggling but she'll be sorely missed and I would like to point out that I certainly don't intend on 'replacing' her - to me, she's irreplaceable! I just hope I'll be able to help out my other dear friend Kate out by helping her to run the PTI blog a bit as it'd be a darn shame if it didn't continue! So it all starts today for me! The new challenge over on our PTI blog (can I use the term 'our' now? Guess I can?!) is to produce a Clean and Simple (CAS) card using at least one PTI Product - easy peasy hey?! Here's my example: Yes, I know it's very simple but when you've got an impatient bf who wants to be sorting out other stuff rather than a card challenge you kinda have to rush a little! Anyways all the deets are over on our PTI blog so I'd really love it if you took a peek (Kate's example just rocks as always btw!) and I'd REALLY love it if you played along to join in the fun - you don't have to use all your PTI stash, just a tiny bit and there's a prize if you need more persuading! Right then gotta dash, Chris has left me with the longest list of errands to run to get things sorted - I no longer feel I'm on my summer hols! Hey, congrats on the dt and the move....super clean & crisp card...love it! You mean my incessant posting of Button Bits cards STILL didn't push you over the edge?! LOL! Your card is gorgeous! Glad to hear you had a successful move---that can be so stressful! And congrats on the PTI blog spot..I check in there once and a while and wish that I lived in the UK or Europe so I could play along, LOL! There is so much talent there! Awh don't be too sad I know Steph will be so proud that it was you who could join the blog and we are all so lucky that you did step in and so grateful to Kate for keeping the fab blog going. How spooky is it - I have just posted a new home card at my place - hope you are all settled now the hard part is done and I wish the same for you too - a happy new home. I am sorry that Steph is stepping down too - but really excited that you have said yes - its going to be great seeing your cards there too. Glad you managed to choose one set - I dont think I could have done that! WOW Aimes, you must be so chuffed to be part of the Passion For PTI blog with Kate, you'll do a great job I'm sure of it. Lovely card by the way, can't wait to see your new creations in the near future too. Congratulations on your move, hopefully you'll have your place in order real soon. 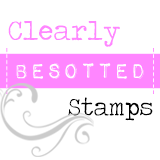 Great choice Aimes - Friends 'Til The End is on my list too, but then so are half the other PTI stamp sets, lol! Enjoy your prize when it arrives! Great card for the CAS Challenge BTW - I don't usually do CAS but I'll give it a shot! Good to here your news :O), sorry to hear that Steph has had to step down, hope she able to guest once in a while? Looks like you've hit the ground running - try not to show me up too much will you? 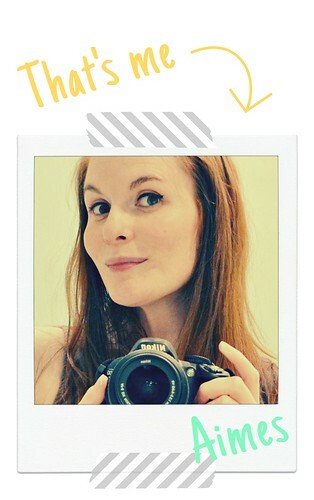 BIG congratulations on joining A Passion for Papertrey and I Can't wait to see all those fabby creations! I love the card, the colours are some of my faves! What fab news (well deserved though!) At this rate I'll be telling people "Well, I knew her before she was famous, you know" Hee Hee! Gorgeous card again with that poppy!